Thermablate EAS is a lightweight, fully automated, portable medical device used to carry out Global Endometrial Ablation. Global Ablation works to destroy the endometrial layer of the uterus, thus reducing or completely eliminating menstrual flow. 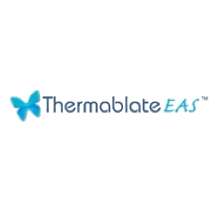 Thermablate EAS is easy to operate and physicians require minimal training to perform the procedure. Unlike comparable thermal balloon ablation devices, fluid pressure and volume are entirely monitored by the unit itself, and need not be supervised continuously by the operator. Thermablate EAS has successfully reduced total treatment time of global ablation to less than 2.5 minutes.